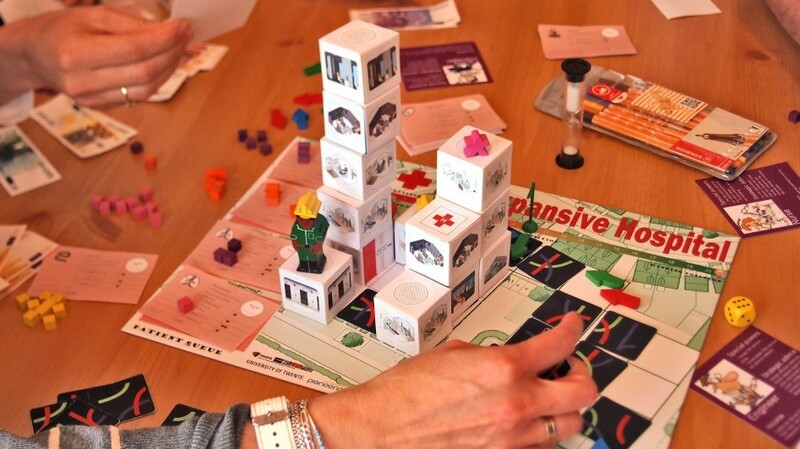 Game intro | A board game about conflicts of interests in healthcare design. The Expansive Hospital is a board game in which players collaborate and compete to build a hospital with plastic blocks. Players have to build and treat patients at the same time, since the hospital is under constant expansion. There are many different kinds of patients and plastic blocks necessary to treat them. Designing the blocks is difficult because each player is responsible for one aspect of it: architect, engineer, contractor, nurse, facility manager or director. A poor design allows for earning more money but contributes to the hospital bankruptcy, in which case everybody loses the game. The gist of the game is to find a balance between the need to join forces and the greed for money. From 2 to 8 players. Duration: between 90 and 180 minutes. Complexity level: medium. Professional knowledge required: none. The game design is based on a research conducted with three healthcare construction projects in the Netherlands commissioned by Pioneering. The research found that hospital design is often over schedule due to the conflicts of interests between the multiple parties involved. The game reproduces some of these conflicts, such as the engineer wanting to build more pipes than needed whiles the architect wanting to build a high rise building. If the conflict is not resolved between the players, patient satisfaction drops, together with the hospital income. Playing the game is an opportunity to learn the importance and the difficulties of designing for healthcare performance while having fun with the artificial conflict enactment. Most management games are either competitive-only or collaborative-only. This game is unique because each player can chose to compete or to collaborate and the game still works. When people choose to collaborate instead of being forced to collaborate, they can experience true collaboration. In fact, the game encourages people to develop their own approaches to deal with the conflicts of interest inherent to collaborative work. The game gives the freedom to try different approaches and see the consequences in the hospital performance. The game let players experience artificial conflicts and see what happens if they act in a certain way. The game highlights the consequences of players’ actions in the hospital performance as well as on their own reputation, trustworthiness, and money. After playing the game, the players are expected to have increased their awareness of the multiple factors at play in a large building project. Frederick van Amstel is an interaction designer with experience in designing digital games, websites, and applications. The Expansive Hospital game was designed as part of his PhD to bring a playful approach to architecture. 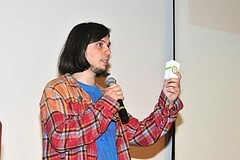 He shares first hand information about his creations in his twitter account. More about his work at his personal website. We played this game in our department and it was a very engaging and fun experience. Balancing individual and collective interests was challenging and led to very interesting negotiations!